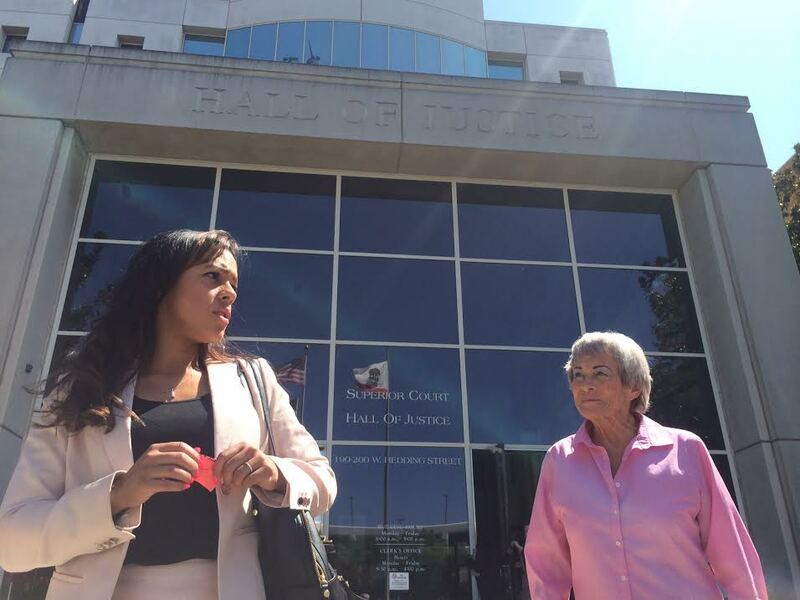 Santa Clara County Public Defender Jessica Smith, leaving court with Rusty’s mom after freeing him from a life sentence. Together, they walked straight to the jail to see when he was getting out later that day. Around four years ago, a couple of us from De-Bug walked into the public defender’s office around 10pm to turn in one of the first social bio videos we ever made. It was a life case. Court was the next day, and we had asked the public defender, Jessica, when was the latest we could turn it in to her that evening. She said she would be working late, likely throughout the night, so not to worry. Despite the universe seeming determination to send her client Rusty to prison for life — Jessica was going to fight with everything she had, with every second she could. We had visited Rusty in jail before — he was as charismatic and likable as the various people who came to our participatory defense meetings said he would be. That phrase, “you just have to meet him” comes up often at our meetings with families, but the truth is, it is always been a useful instruction for us to follow. We also go to know Rusty by interviewing the people who loved him. Rusty grew up in rural Idaho, which also led to some challenges on how to capture important family voices for his video, since they lived thousands of miles away. Some of the family, including his mother, actually recorded their interview from her ranch in Idaho, responding to question we gave them through phone and email. We got involved in supporting Rusty after he lost at trial. Jessica was enraged at the decisions made by the court throughout the process. But she made sure every objection and issue she had regarding the failure of the court to honor Rusty’s rights in trial was on the record. Rusty and his mom hugging as he leaves jail, a free man after having served four years of a life sentence. 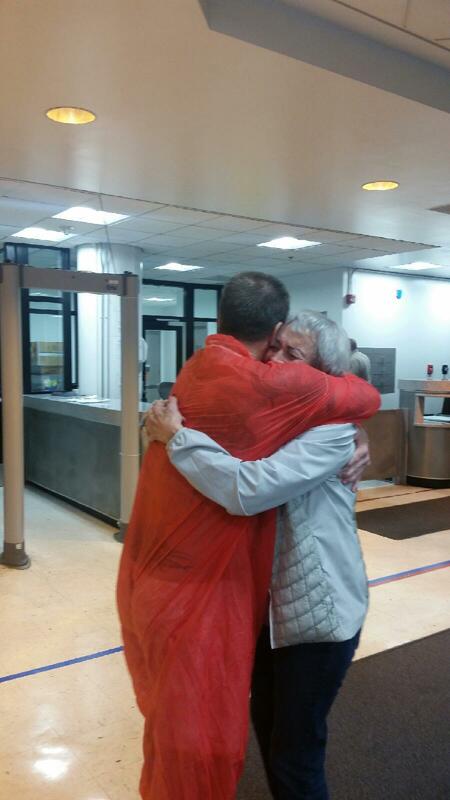 His mom had flown out to California for the sentencing from Idaho, as perhaps the last time she would ever see him. The last image I saw of Rusty was right after the sentence was delivered, and while still facing the judge, he subtly pulled his earlobe. Then he went behind the door, then off to a prison sentence for the rest of his life. As we led the courtroom, and through her tears, Rusty’s mom explained his signal with the ear. She said that ever since he was a little boy she told him that no matter where he is, she will always be there, a voice right behind his ear. He was telling her she will still be with him despite his life sentence. A few months ago Jessica reached out with incredible news. The appellate court, through the advocacy of a great appellate attorney Jonathan Grossman and the record that Jessica ensured was memorialized, overturned Rusty’s conviction! Rusty, who was always very involved in his defense, continued that effort with his communications to his appellate attorney — getting him every possible piece of information and insights he could to strengthen his brief. Given the decision of the appellate court, the DA’s office dismissed the charges. Rusty’s mom drove all the way from Idaho the day before his final court date. As we waited in the court hall way, Rusty’s mom pulled both her ear and said, “all this time, I was right behind his ear.” It had been four years, and I had forgotten the story. She had forgotten telling me. It was perhaps a moment in life you don’t want to remember. Now she really will be right beside him, and can tell him motherly words, directly into his ear. That is because of Jessica, Jonathan, and Rusty’s faith and power. Rusty was got out of jail, after spending four years in prison, around 11pm that Friday night, the same day of court. Jessica and his family was there to receive him. We spoke the next morning. He said his mom got worried about him because when she went to check in on him around two in the morning he wasn’t in the room of the family members home they were staying at. He was picking weeds, looking at the stars — just experiencing being outside in a backyard. I asked him what he would tell other families who were just starting to climb the mountain he just conquered. He said that you can’t loose hope, and you can’t just wait for the lawyers to do everything, you have to help as well. I was looking forward to him erasing his name from our Sunday meeting board (a participatory defense ceremony), and sharing his inspiration with the families who come there. He said though he really wanted to, but he wouldn’t be around. He was on the road, driving back to Idaho with his mom, by 9am Saturday, the day after his release, to start his life anew, as a free man. He says he will be writing for this site shortly, once he settles in back at the ranch.